A sparkle putty that will make you want to hang out with the sloths! This new kind of sparkle putty mimics the look of a sloth's coat. Fun to knead, bounce, and twist. Popular therapy tool for sensory issues and fine motor development. Recommended for ages 3+. Loved by kids and adults! Shimmery putty changes color under UV light. Includes a blacklight. 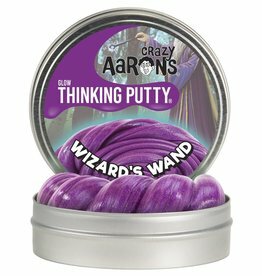 Thinking putty comes alive in the presence of a super strong magnet. 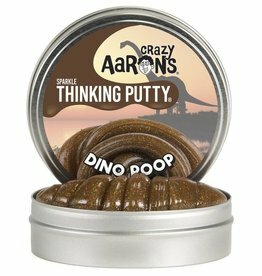 Although it's more sparkles than poop, this putty has a prehistoric charm to it! A magical putty that glows in the dark!